The weather these days is wild and will be wilder still within a century. In part, because the water from melting ice sheets off Greenland and in the Antarctic will cause extreme weather and unpredictable temperatures around the globe. Feb. 7, 2019 – The weather these days is wild and will be wilder still within a century. In part, because the water from melting ice sheets off Greenland and in the Antarctic will cause extreme weather and unpredictable temperatures around the globe. A study published in Nature is the first to simulate the effects, under current climate policies, that the two melting ice sheets will have on ocean temperatures and circulation patterns as well as on air temperatures by the year 2100. “Under current global government policies, we are heading towards 3 or 4 degrees of warming above pre-industrial levels, causing a significant amount of melt water from the Greenland and Antarctic Ice Sheets to enter Earth’s oceans. According to our models, this melt water will cause significant disruptions to ocean currents and change levels of warming around the world,” says Associate Professor Nick Golledge from Victoria University of Wellington’s Antarctic Research Centre in New Zealand. He led the international research team made up of scientists from Canada, New Zealand, the UK, Germany and the USA. The research team combined highly detailed simulations of the complex climate effects of the melting with satellite observations of recent changes to the ice sheets. As a result, the researchers have been able to create more reliable and accurate predictions of what will occur under current climate policies. 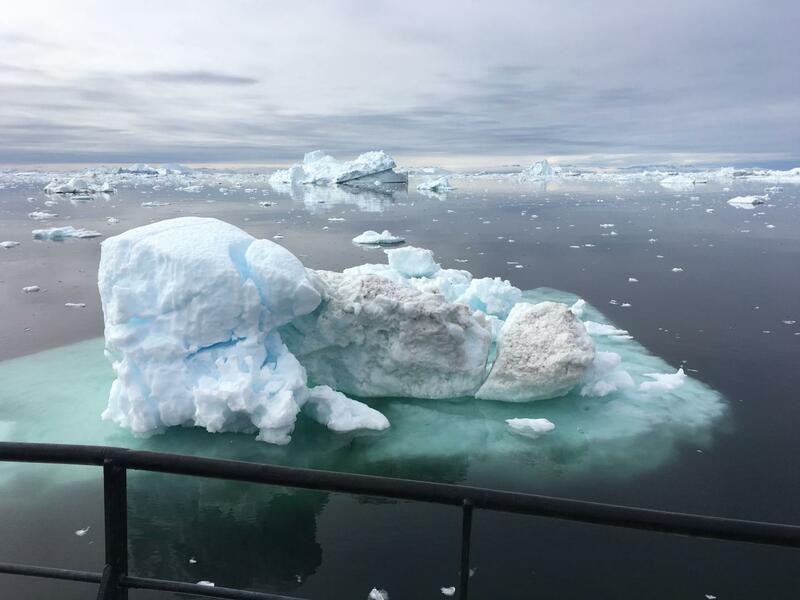 Professor Natalya Gomez, from the Department of Earth and Planetary Sciences at McGill contributed to the study by modelling projected changes to water levels around the globe as ice melts into the ocean. The ice sheet simulations suggest that the fastest increase in the rise of sea levels is likely to occur between 2065 and 2075. Melting ice sheets will affect water temperatures and circulation patterns in the world’s oceans, which will in turn affect air temperatures – in a complex ice-ocean-atmosphere feedback loop. However, the effects of ice sheet melt are far more widespread than simply leading to changes in sea levels. As warmer melt water enters the oceans, for example in the North Atlantic Ocean, major ocean currents such as the Gulf Stream will be significantly weakened. This will lead to warmer air temperatures in the high Arctic, Eastern Canada and Central America, and cooler temperatures over northwestern Europe on the other side of the Atlantic. According to the researchers, current global climate policies set in place under the Paris Agreement do not take into account the full effects of ice sheet melt likely to be seen in future. “Sea level rise from ice sheet melt is already happening and has been accelerating in recent years. Our new experiments show that this will continue to some extent even if Earth’s climate is stabilized. But they also show that if we drastically reduce emissions, we can limit future impacts,” says Golledge. The research was funded by NASA, New Zealand’s Royal Society Te Aparangi, the Antarctic Research Centre, the New Zealand Ministry for Business, Innovation and Employment, the Deutsche Forschungsgemeinschaft, and NSF Antarctic Glaciology Program. Want to see how this ends?